Fabrication-S.M.L. has the capability to produce any type, size, or shape of sign. We utilize the most up to date technologies to make sure your sign is of the highest quality possible. Every sign we manufacture comes with our standard one-year parts and labor warranty. Share your vision with us and we make them a reality. Installation-S.M.L. has a fleet of equipment to install any type of sign, including ladder, bucket, and crane trucks. We also have scissor lifts, articulating lifts, and scaffolding. All installers are union members of IUPAT Local 880 or IBEW Local 292. Graphic design-S.M.L. has in house design/engineering staff help make your vision a reality. We routinely work directly with clients and their design firm or architect to help design the right sign solution for the situation. Bring us your ideas and we will transform them into a sign that you can be proud of. Maintenance- S.M.L. maintains everything it sells and also signs manufactured by another company. We have fully stocked maintenance vehicles servicing the region each day. We provide 72 hour response for most maintenance calls. Please contact us today for all your sign service needs. Full Service Electrical Contractor- S.M.L. is one of the only sign companies in Minnesota who is also a licensed electrical contractor. This means we can legally wire your sign and connect it to the building power. What does that mean to you? 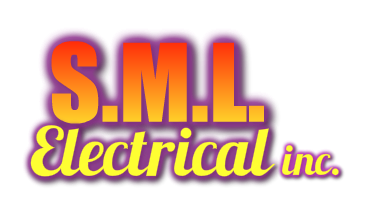 It means, when you hire S.M.L., you receive a complete project without the need to hire an electrician to finish the work. S.M.L. is truly a complete sign company.